Following the critical acclaim of A Story of Children and Film and The First Movie, film theorist Mark Cousins once again steps behind the camera to helm his own project. This time the languid essayist takes his Northern Irish birth-place as the subject for a romantic project which brims over with each of his trademarks: lilting narration, lyrical poetry and musical editing. That he continues to builds upon and evolve the style honed in his previous non-fiction films is testament to a man in thrall to the power of story-telling and the infinite possibilities of cinema. I Am Belfast, shot by cinematographer extraordinaire Chris Doyle, marks Cousins' most unconventional feature thus far. 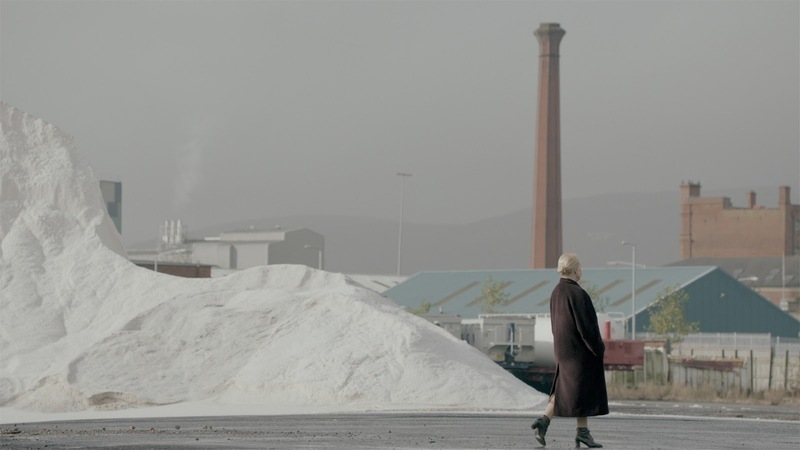 Presented as a conversation between the director and a 10'000 year old woman representing the city of Belfast itself, the feature confronts us with a series of snapshots of a place, of nature, and of people themselves. The abstract mixture of documentary and drama captures soundscapes and landscapes with equal effervescence - this is a city of indefinable magic, we see, observed in fleeting moments of awe and wonder. This is not so much a city symphony as an impressionist piece, a Kokoschka or a Bacon painting as cinema. Cousins points his camera at an autumnal riot of colours - red-brick walls and a blaze of orange leaves - and asks us to observe, to witness the spark and the life, the way a city mystically arranges itself into glorious compositions, and we are transcended. This is a film which doesn't ask us to simply sit back and switch off but, rather, to become immersed and active. We view the ordinary as the extraordinary and, through the lens, we witness a new way of seeing - not just Belfast, but the cities through which we venture day-to-day. "I was beautiful once but I wonder if I become ugly.." the city of Belfast ponders through the aged woman who represents her. Maybe this is the case, or maybe we forget how to see, how to use our eyes with grace. This is a movie very much about taking the time, and the love, to look for beauty in the world, about how if our views have, indeed, become ugly, it may be because we have allowed ourselves to become jaded. Like Room, Cousins presents us with a film about sensations and discovery and, in a way, gifts a movie to us which, despite appearing otherwise, is very much about cinema. What are films but ways of seeing, ways of understanding who we are and the world around us? Cousins plays with the medium of film, recalling the whimsical inventiveness of Dziga Vertov, and sculpts a hypnotic piece or art which acts as the antithesis or the rote documentaries which regularly appear on our theatre screens. At one point Cousins sincerely states: "I like movies." 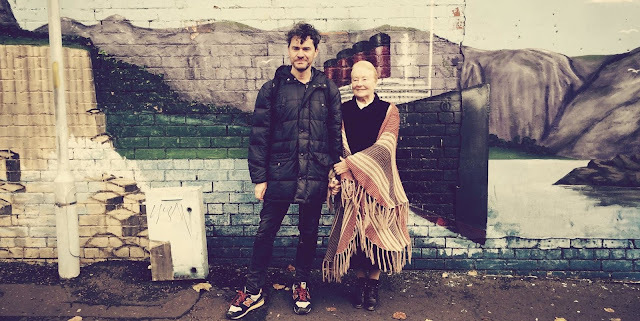 I Am Belfast reminds us that, no matter how jaded or cynical we cine-goers become, there will always be ways to fall in love at the movies - under flickering lights we can be transported, lifted. If only we take the time to look, we'll be surprised by what we can see.